Just after NBC2 raised concerns to the city of Cape Coral about the disrepair of the sidewalks on Cape Coral Parkway, contractors started pulling weeds and fixing pavers. Between Coronado Parkway and Del Prado Boulevard, lifted and stained pavers were seen every few feet. The city leaders committed to spending $5,000 to repair the lifted pavers even though they admitted there was no annual plan for sidewalk maintenance. Many benefits come from having sidewalks which include safety. The most important benefit is reducing accidents on the roads and making it safer for pedestrian traffic. Sidewalks may be important, but if they are poorly maintained or in major disrepair, a devastating accident may occur to those using it. Slips, trips and falls may occur. How severe can injuries in a slip, trip or fall accident be? 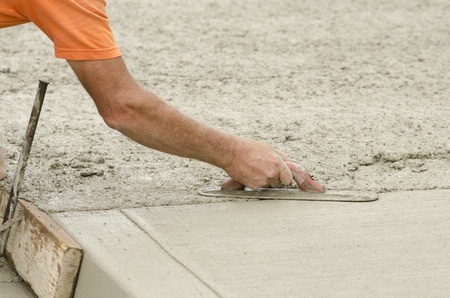 A fall on a hard surface like concrete can cause critical and painful injuries. While many are lucky to escape with only cuts and bruises and maybe some soreness, others are not so fortunate. Sprains, fractures, back injury and head injury are not uncommon results of a slip, trip or fall on hard concrete, and long-term injuries or even permanent disabilities can sometimes result from these accidents, according to Spinalcord.com. Business Property Owners: If you fell on a sidewalk in front of a store or business, then the store or business could be held liable for your injuries. Homeowner Associations: Some sidewalks, especially those in neighborhoods maintained by a homeowner’s association (HOA), are actually privately owned even though they appear identical to normal, publicly accessible sidewalks. If you fell on a sidewalk in an HOA community, the HOA could be held liable for your injuries. Homeowner: If you fell on a sidewalk in front of a home in a residential neighborhood, the homeowner can actually be held liable if he or she contributed to the disrepair or danger on the sidewalk. Landlord: If a business is renting space or a tenant is renting a home, and the lease agreement specifies that the landlord is responsible for maintaining the sidewalk, the landlord could be held liable for your injuries. Municipality: Cities and towns are responsible for the maintenance and upkeep of publicly-owned streets and sidewalks, so they could be liable for your injuries. The person, business or municipality has a duty of care, like a duty to repair the sidewalk. The person, business or municipality was notified of the defect but did not take corrective action within a reasonable period of time. The breach in their duty of care led to an accident. The accident resulted in harm or injury to the plaintiff. “At Spivey Law Firm, Personal Injury Attorneys, P.A., we have experience handling slip, trip and fall accidents for our clients. Please contact us immediately after seeking medical assistance so that no evidence or memories of the accident are lost. There are no costs or attorney fees unless we make a monetary recovery for you,” says Attorney Randall Spivey, Fort Myers slip and fall accident attorney. Fort Myers Slip & Fall Attorney, Randall L. Spivey is a Board Certified Trial Attorney – the highest recognition for competence bestowed by the Florida Bar and a distinction earned by just one (1%) percent of Florida attorneys. He has handled over 2,000 personal injury and wrongful death cases throughout Florida. For a free and confidential consultation to discuss your legal rights, contact the Spivey Law Firm, Personal Injury Attorneys, P.A., in Lee County at 239.337.7483 or toll free at 1.888.477.4839,or by email to Randall@SpiveyLaw.com. Visit SpiveyLaw.com for more information. You can contact Spivey Law Firm, Personal Injury Attorneys, P.A.in Charlotte County at 941.764.7748 and in Collier County 239.793.7748.